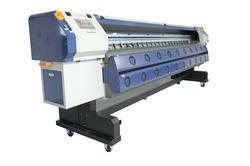 Prominent & Leading Wholesale Trader from Chennai, we offer flex printers. Print Heads 4 Nos. & 8 Nos. Owing to our in-depth domain expertise, we are providing a qualitative range of Flex Printers.